The cost the exam for the students that have taken the module 1 is U$85. 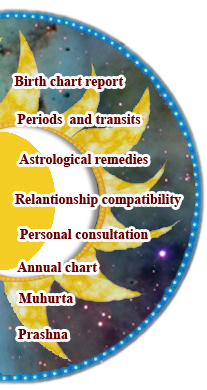 If someone already studied Jyotish and doesn’t want to take the first basic module, but wants to take some other modules, can simply take the module 1 exam and after approving it take the other modules. In this case the cost of the exam is U$180. The exam is online through Skype connection. It is 3 hours and a half long. You need to answer at least 80% correctly in order to pass it. This exam of module 1 is not a professional certification in Jyotish. It’s to confirm that the student has the basic knowledge of this module in particular in order to continue studying in more advance levels. If you are interested in taking the exam, please first contact us at jyotish@9graha.com in order to do the arrangements.